NDA 1 Mathematics UPSC previous years question for the year 2017. This practice paper of N.D.A. (National Defence Academy) will help the candidates to upgrade UPSC examination results of NDA 1 for 2018.The last year question paper with answer key are issued by Union Public Service Commission (U.P.S.C.) 2018. 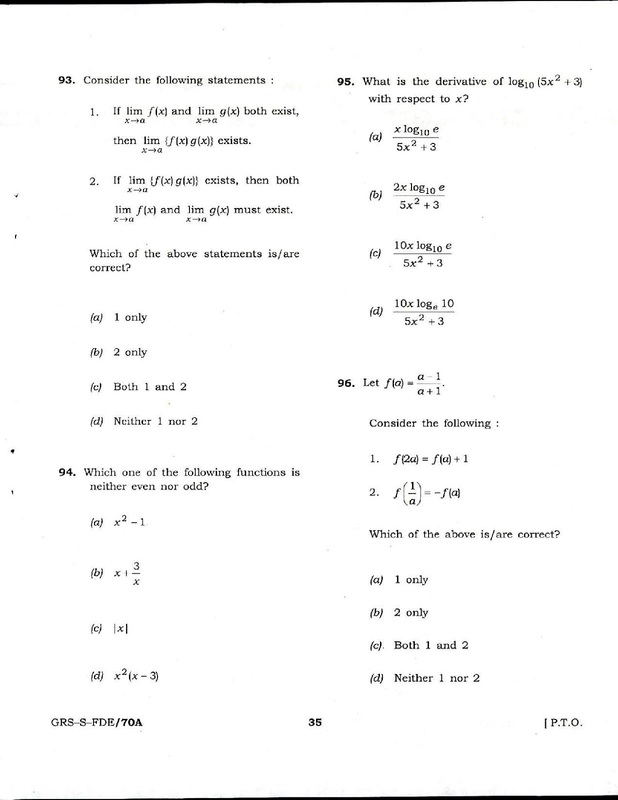 The previous year’s maths paper of are the prefect study material for candidates of NDA I, the answer and question paper of maths are available in PDF below in the attached answer key sheet for candidates of NDA. Candidates in National Defence and Naval Academy exam were conducted by UPSC on 23rd April 2017. The previous year sample paper of 2016-2017 and to upgrade your NDA examination results of 2018 practice the NDA & NA 1 exam papers2017, NDA 1 syllabus for 2017 – Trigonometry, Algebra, Complex numbers, Differential Calculus, Vector Algebra, Integral Calculus and Differential equations, Matrices and Determinants, Statistics, Probability and NDA 1 2017 question bank and NA 1 important question paper, Last 10 years question paper with model answer are available in attached sheet. 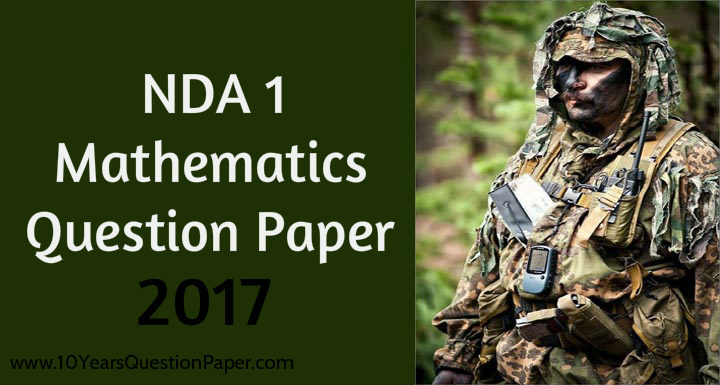 NDA 1 Mathematics 2017 NDA & NA 1 Exam paper – U.P.S.C. Download Free Online Question Paper. Tags:N.D.A. (National Defence Academy), NDA math question paper, 2017 nda 1 question paper, maths previous years question paper of nda 1 2017, upsc results, upsc exam date of nda, na 1, India National defence academy question paper, solution of nda 1 2017, 2017 answer key nda 1, NDA PUNE, pune nda 2017, 2018 nda 1, NDA UPSC 2017 Mathematics question paper 2017.